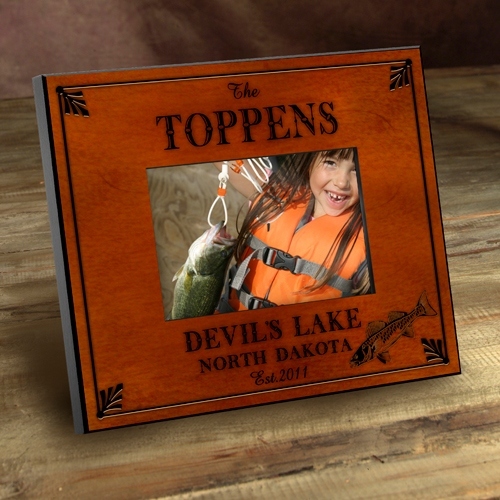 * Our Cabin Series Picture Frames are the perfect way to display your favorite pictures taken at your favorite get-away spot – whether it be the lake, the mountains, or the hunting shack in the woods. 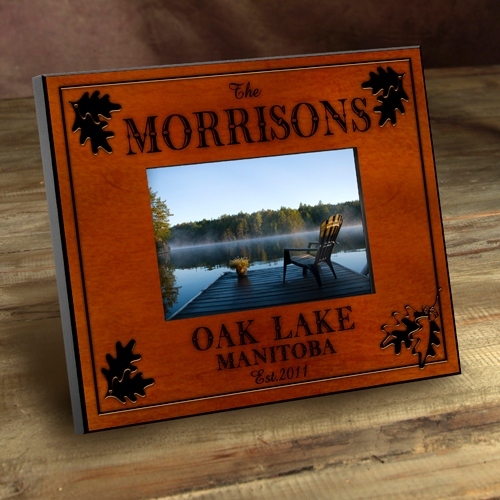 * Wood-toned with a rustic look, the frames are available in nine outdoor themed designs and feature name, location and established date. 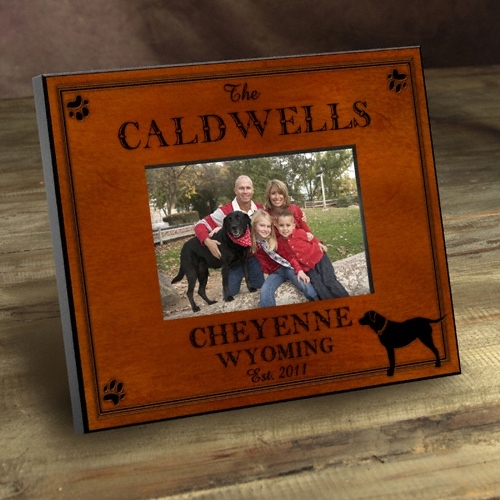 * Trimmed in black, the frames will make a great addition to any décor. * Holds a 4” x 6” picture.